As the Dharma-ending age, characterized by the dominance of evil and ignorance, unveils before us, it is extremely rare to find someone willing to forsake the worldly life of material pursuits and pleasures to lead a holy life in search for spiritual awakening. 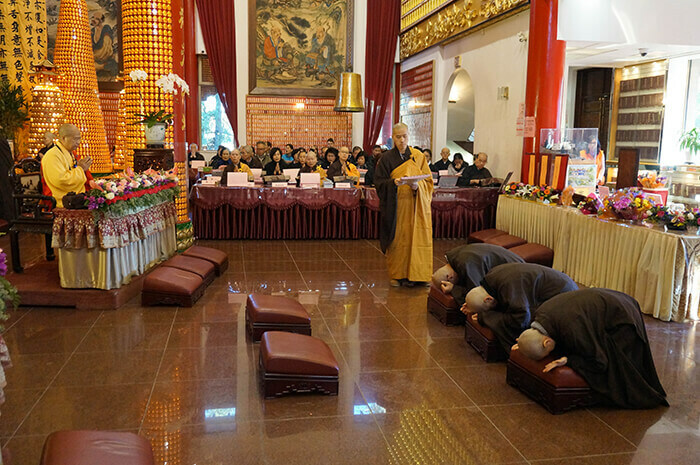 On November 16th, 2014, three ordinees devoted their life to the holy path by taking the noble vows of ordination at the International Buddhist Temple’s Second Annual Ordination Ceremony. 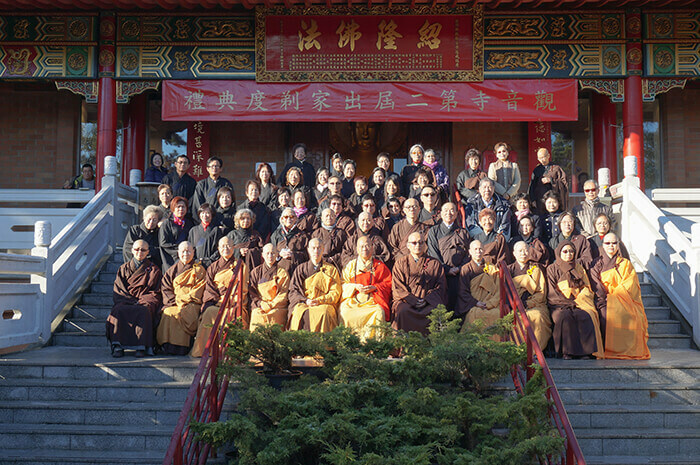 The ordinees, Changhui Zeng, Caixin Wu and Dinghui Chen, who all come from our Hong Kong branch organization, The Vinaya Samadhi & Prajna Lecture Hall, had been diligently preparing themselves for the monastic life since arriving at the Buddhist temple in May 2014. Through the wisdom imparted to them by their Shifu, the Venerable Guan Cheng, they began to deeply understand the impermanence and suffering of this world and appreciate the rare opportunity afforded to them in this life to follow the Buddha’s teachings and seek liberation from all suffering. 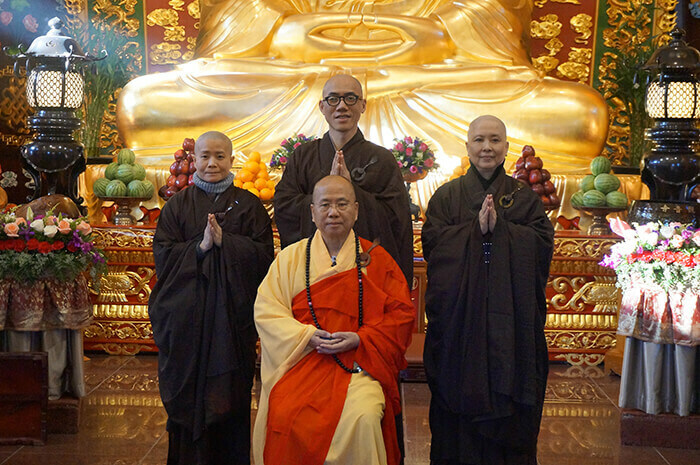 Seeing the great benefits of relinquishment and the peace of mind and happiness that can be achieved through the monastic life, the three ordinees graciously invited the Venerable Guan Cheng to be their tonsure master for this year’s ordination ceremony. The ceremony was emotionally uplifting and inspiring. Venerable Guan Cheng was the Precept Transmission Master and Venerable Yuan Chuan was the Teaching Archaya. There was an assembly of over 150 people including relatives, friends and lay Buddhists. When the ceremony was finished, the Sangha community welcomed its three newest members, carrying the Dharma name Hong Yao, Shan Ci, and Shan Ming, respectively. After the ceremony, while the assembly went out for a group photo in front of the Gracious Hall, the sun suddenly came out and beams of radiant light glimmered on everyone’s faces, bringing an auspicious and heartwarming ending to this joyous occasion.